Database Converter 3.1 is a programmer’s tool to convert databases. 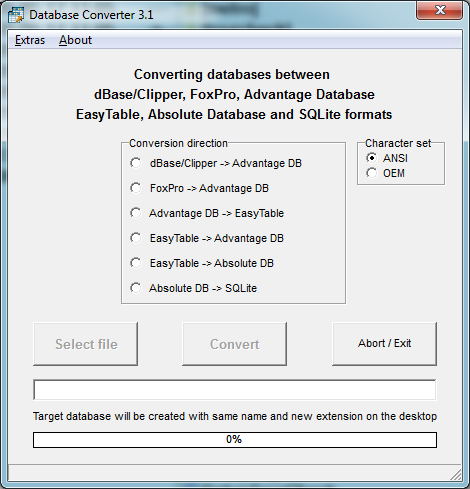 Convertable database directions: DBase/Clipper/Foxpro (.dbf) -> ADS (Advantage) <-> Easytable -> Absolute Database -> SQLite-3. In order to convert an Excel-sheet into a SQLite database, you would save it as dBase and then convert it via Advantage, Easytable and Absolute database into the desired format. Target databases are created including all existing indexes. Please note that due to the special character of SQLite, indexes are renamed to guarantee they have distinct names. Also, as certain field types either do not exist in SQLite (Boolean) or are handled differently (Date & Time fields) your code may need to be adapated. All drivers are either built in or included in the setup. 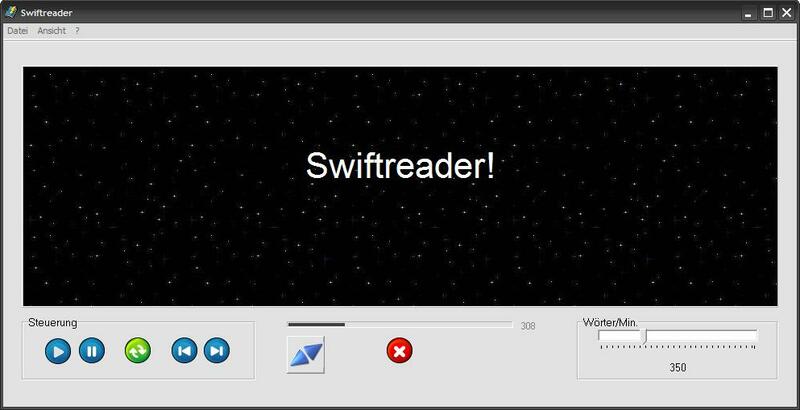 SwiftReader displays text word-by-word continuously. Big font size makes for clear readability and display speed is freely adjustable. Natural sentence melody is simulated by minimal breaks after punctuation marks.You can jump forward and backwards sentence-by-sentence and freely re-position the cursor. Also Unicode text can be processed. “Lettermix” is a gimmick: It mixes the letters inside a word. Astonishingly, simple texts stay readable. enhance your personal reading speed. ToggleIni is a command line tool that can toggle variable settings within an .ini – file.